Bonn, 1 December 2018 - Both in its breeding and wintering regions, the Black-tailed Godwit (Limosa limosa limosa) is an iconic flagship species for habitats with low intensity agricultural activities. The coexistence in their breeding regions with dairy farming and in the stop-over and wintering areas with rice cultivation used to be beneficial but has been out of balance for some time. This nominate subspecies features on the IUCN World Red List as Near Threatened and in Europe on the European Red List as Endangered. Its current presence in agriculture habitats can as best be described as “cannot live with or without you”. Main drivers of the declines are the intensification of dairy farming in North-West Europe, leading to low groundwater levels, frequent and synchronized mowing and monotonous and dense swards resulting in cascading effects of nest loss, shortage of food and increased predation. In addition conversion of grasslands to arable land, land abandonment in eastern Europe, afforestation, climate change and an increase of generalist predators have their effects as well. At the stop-over and wintering areas, natural fresh water wetlands disappear and rice cultivation is being carried out more intensively, also unnecessary mortality factors such as (illegal) hunting play a role as well. The problems are manifold and largely known. These have led to management solutions to save the species but we have not reached the point of recovery yet. It is not only about saving the Godwit itself but also about the choices we have to make for our future landscape! 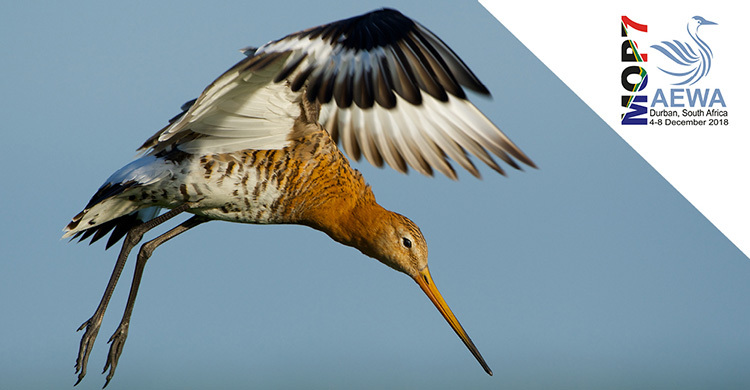 The AEWA Action Plan for the Black-tailed Godwit has defined many measures that need to be taken. Many local and national conservation and management activities are underway often in close cooperation between farmers, conservationists and others involved. Upscaling of these activities and continuous involvement remains necessary to stop the decline. 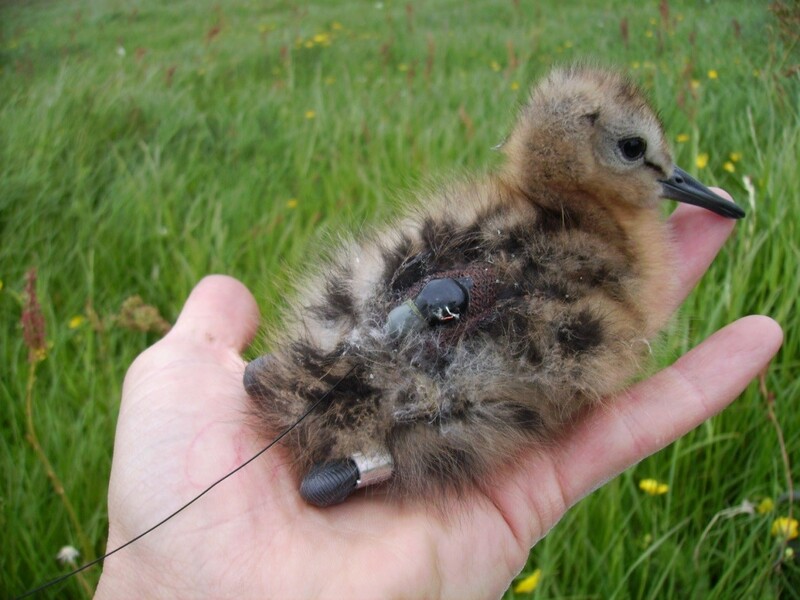 For a highly migratory species as the Black-tailed Godwit (not only the limosa nominate but also the islandica sub-species) international cooperation between countries is needed to create a real flyway approach taking account of the whole annual cycle. In 2008, an International Single Species Action Plan was commissioned by AEWA and an International Working Group for the Black-tailed Godwit was established. 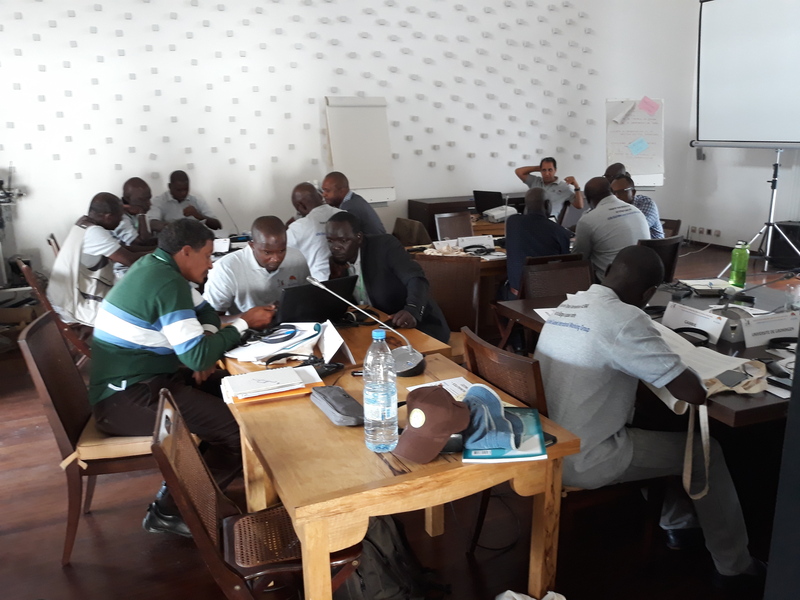 Since then, several workshops and meetings have been organized to exchange best practices, harmonize conservation actions and develop regional working plans for further implementation of the action plan. Update of the Work Plan for implementation of the Action Plan for Range States in North-Western Europe in 2016. This also to harmonize with the action plan for the species as developed by the European Union. The first regional workshop for the countries from the wintering range in West Africa and West Mediterranean was organized in 2017 in Senegal. Also, here a workplan for further implementation of the international action plan was developed. Options for an update of the workplan for Eastern Europe are in preparation. An excellent preparation for this was a one-day meeting of Godwits before the International Wader Study Group in Friesland, the Netherlands in September 2018 with a summary of research and management issues in Finland, Poland, Estonia, Belarus and the Russian Federation. The International AEWA Working Group for the Black-tailed Godwit is coordinated by Marc van Roomen (Sovon Dutch Centre for Field Ornithology) and financed by the Dutch Ministry of Agriculture, Nature and Food Quality and Vogelbescherming Nederland.